The European Business Aviation Convention and Exhibition (EBACE) recently concluded in Geneva. Being in Switzerland in the early summer one is more or less obligated to take a peek at the Alps. Not that, in Switzerland, you can really miss them. If you ever get a chance to visit exercise the opportunity with enthusiasm. If you own or are thinking about owning a Pilatus product what you will quickly surmise is that this country is very, very adept at building things. They seemingly never saw a mountain that they did not want to bore a hole through or into. Their latest achievement is a high-speed train tunnel through the middle of the Alps that is a whopping 35 miles long and 1.4 miles underground. It took 17 years to build but cuts the transportation time from Zurich (Switzerland) to Milan (Italy) from 4 hours to 2.5. While it will host 65 passenger trains per day its real claim to fame will be the 260 freight trains that can pass through every 24 hours. That’s a lot of international trade. 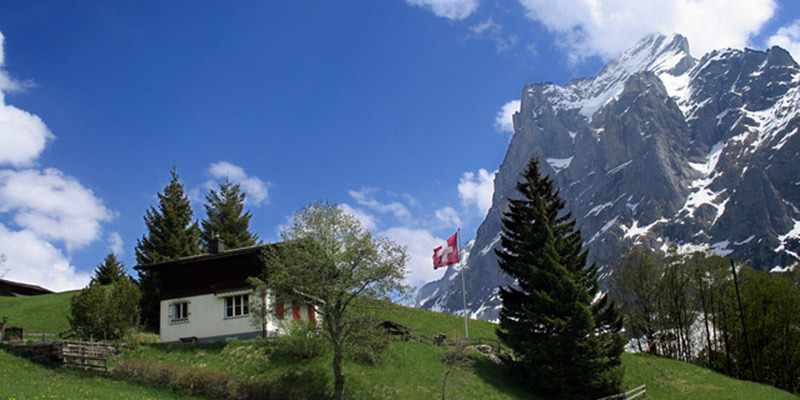 Once inside a mountain the Swiss have been known to build everything from high-altitude train stations to observatories to zip lines over glaciers. More than once I have been on a roadway that seemingly ended in a box canyon only to discover a car-carrying commuter train that moves back and forth to the other side. You just drive your car straight onto the car carrier and sit there. Ten minutes later you drive off the train and back onto the highway on the other side. It’s remarkable. In Geneva, where EBACE is held, there are multiple hotels just outside of the airport. In one case there was a small village that was very much in the way of the airport and a cluster of nearby hotels. They bored a tunnel under it. The Swiss are a very precise group. Their train system is probably unparalleled in the world and very nearly speaks for itself. It runs, and in many cases is coordinated by, the precision of their famous time pieces. Even their woodpiles are precise. You can travel from one end of the country to the other and every woodpile is cut and stacked exactly like the first one you see. It is apparent that precision is part of the Swiss culture. The Swiss also chase efficiency with a vengeance. On a recent factory visit we toured Pilatus’ new Logistics building. The massive storage structure is five stories high but that is a misleading measure because, well, it has no people in it. Or lights. It does, however, have a bunch of high speed conveyors and elevators, thousands of wooden boxes (think renewable), and a massive computer system. If the factory floor next door or an AOG aircraft in Australia asks for a component things start flying around at 50 miles an hour. It’s quite a show. Pilatus is increasing a portion of their production capacity by some 40% by, among other things, replacing 10-year-old equipment that mills solid blocks of aluminum into many of the pieces that you see on the PC-12. We’d be happy to show you some examples at your convenience. The astounding part is that we can name several industry stalwarts that probably do not own any machines as young as 10 years old. It is also apparent that, if you are going to own an airplane, these are the people that you want to build it for you. And, at the risk of tooting our own horn a bit, Pilatus constructed a Dealer Network that pretty much thinks like they do. It is a dynamic combination. We are anxious to show you how that partnership yields a world-class ownership experience. Just give us a call or drop by our website, www.skytechinc.com. This entry was posted on Tuesday, June 7th, 2016 at 10:40 am. Both comments and pings are currently closed.